Information: The St. Augustine Lighthouse﻿ is a popular tourist spot in the oldest city of America not only for its beautiful view but also for its long history of supposed paranormal activity. 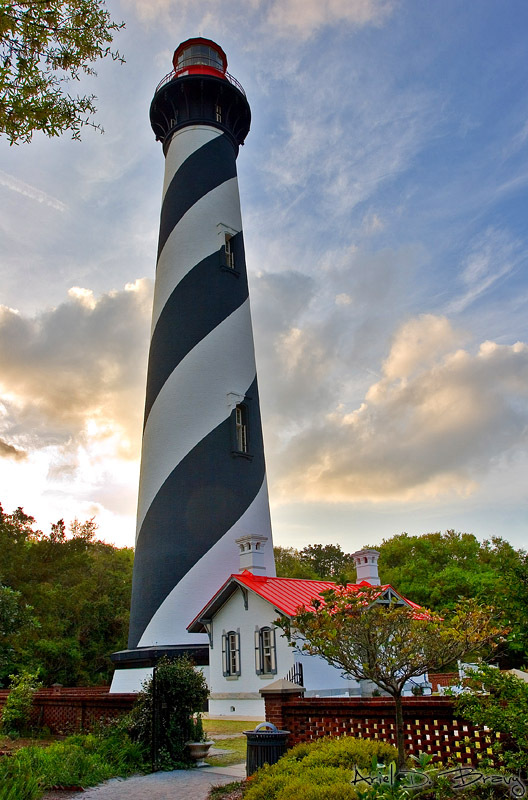 The Lighthouse was built in 1874 and is owned by the St. Augustine Lighthouse & Museum, Inc., which is a non- for- profit maritime museum and private aid to navigation. While visiting family members in St. Augustine I had the opportunity to visit this beautiful landmark. 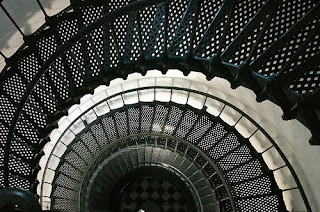 After climbing the four hundred something stairs and returning to Jersey I was watching Ghost Hunters with my dad and to my surprise the episode was on the St. Augustine Lighthouse that I had just been to the week before. Intrigued, I began to watch the episode and was surprised by the findings that the GH Team Members had found. Assumptions: Allegedly, visitors and workers have seen moving shadows, heard voices and unexplained sounds as well as figures of two little girls standing on the lighthouse catwalk which is presumed to be the daughters of Hezekiah Pittee, Superintendent of Lighthouse Construction, during the 1870s; the girls drowned in an accident during the building of the tower. Other reports are of a woman who has been seen on the lighthouse stairway walking in the yeard or the other buildings. A man has also been seen roaming the basement. This man has possibly been that of a Civil War hero and former William A. Ham. When the Ghost Hunters team arrives to the Lighthouse the tour guide, Paul Wenglowsky, shows them around the Lighthouse and its ground explaining to Jason and Grant the education at the lighthouse. He speals of the story of the family member that died during the buildings' construction and shows the men the bucket that has been heard being picked up and dropped. This bucket gives tourists an idea as to how heavy the load really was and what the lighthouse keeper had to carry to the top every night. It is available for tourists like me to see just how heavy and difficult it would be to carry the 400 steps. Paul explains that the padlocked door was recently found open and witnesses have seen a "woman in white" and a little girl during storms. Inclinations: The night of the investigations Jason and Grant heard a woman say "help me." Not only were they witness to this but they also heard several voices in the conversation, a clock in the window and a shadow floating near the nights as well as a figure leaning over the railing. Opinions: After analyzing the evidence it is clear that Jason and Grant believe that the St. Augustine Lighthouse is haunted with paranormal activity. The video below is the sharing of the evidence with the tour guide. I did not experience any of the findings that Ghost Hunters found while there, however, the next time I go there I think now knowing what TAPS found might put a different perspective on what truly is going on within the Lighthouse of St. Augustine. I am not a big believer in ghost stories or places. I have been to many places that are proven to see ghosts or "spirits." However, a creepy lighthouse at night sounds pretty exciting. I will ghost hunt that place myself, hopefully I will see something. I think if I were to visit a place like that, I wouldn't even know that it was haunted or that anything paranormal went on there unless I saw an article on it. Otherwise I would never know, I would just think it is a regular lighthouse. Pretty cool post! I am creeped out by posts and I think that the place itself is gorgeous. It'd be kinda cool to actually figure out whether or not it's haunted!